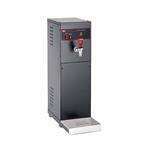 Always have an endless supply of hot water on demand with a commercial hot water dispenser from CKitchen.com. These large-volume dispensers are designed to dispense piping hot water at the push of a button, which is useful for making tea, cocoa, soups and more. 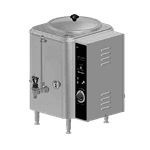 A commercial water boiler or dispenser can be used for instant hot water for beverages and food prep in the kitchen, but can also be placed in a cafeteria, buffet or self-serve environment. 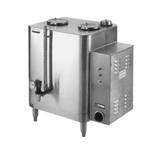 We can help you find the best hot water dispenser for your unique needs at CKitchen.com, with a low-price guarantee on units by Adcraft, Grindmaster-Cecilware, Hatco and Wells. 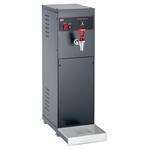 We have both commercial water boilers and hot water dispensers to meet your specific needs. Both options promise easy access to piping hot water as you need it, but the primary difference is size. Generally speaking, water boilers tend to be larger and are often considered a more permanent fixture of a commercial kitchen. They may even be directly hooked up to the water line. 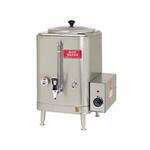 Hot water dispensers, on the other hand, are smaller and often portable. Dispensers are the better choice for a smaller operation or self-serve environment, where water boilers are best-suited for placement in the back of the house. 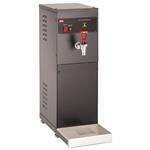 Portable hot water dispensers are a popular choice for hotel breakfast rooms, catering services and cafeterias. 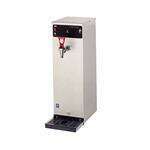 We have hot water dispensers to suit any size establishment, with capacities ranging from 2 to 15 gallons. No matter which size you choose, your dispenser will have a multi-setting thermostat that allows you to adjust it to the right temperature for whatever food or beverage you’re preparing. We even have some cutting-edge styles that dispense pre-measured quantities of hot water for extra efficiency, plus options with automatic refill systems so you never have to worry about refilling the unit. 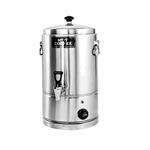 CKitchen.com is more than happy to help you find the appropriate commercial hot water machine for your space and budget.